The BASL main committee is made up of three principal officers - the President, the Secretary and the Treasurer. The chairs of the British Viral Hepatitis Group (BVHG), the BLNA (British Liver Nurses' Association) and the British Liver Transplant Group (BLTG) also sit on the main committee, as do the leads of the four sub-committees covering services, research, education and training and public affairs and external relations. 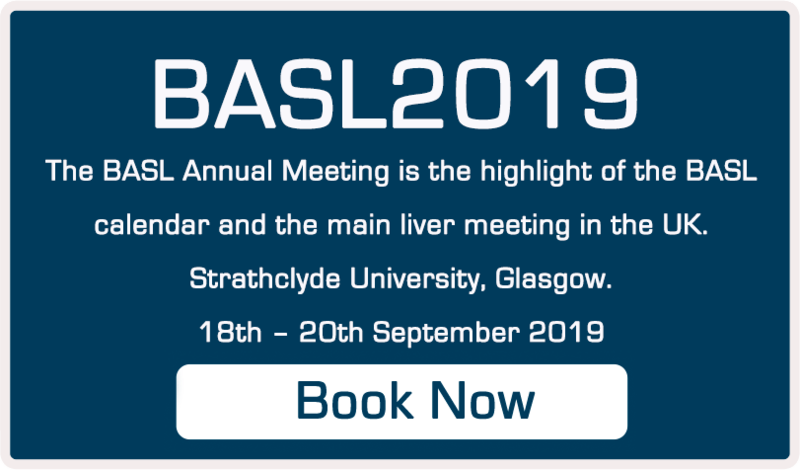 The Committee works together to promote BASL’s aims within hepatology and to represent the interest of its members. Committee Members are also involved in many areas of work on behalf of BASL including contributing to NICE consultations. The Governing Board members are registered with Companies House in the UK as a Trustee (Director) of BASL. Matthew Cramp is a Consultant Hepatologist at Derriford Hospital in Plymouth and Professor of Hepatology at the Peninsula Schools of Medicine and Dentistry. He is Clinical Lead for the Peninsula HCV Operational Delivery Network and the regional representative on the HPB Clinical Reference Group and NIHR Hepatology Special Interest Group. In the south west, he helped in developing a full range number of specialist liver services and has been closely involved in building and establishing the South West Liver Unit at Derriford Hospital. His major clinical interests are in the fields of viral hepatitis and liver transplantation. In addition to developing clinical services he has established a growing research programme and leads the Hepatology Research Group at the Peninsula Schools of Medicine and Dentistry with an active programme of clinical and laboratory research studying mechanisms of protection from hepatitis C virus infection as well as studies on fatty liver disease, alcoholic hepatitis and hepatocellular carcinoma. He has been an active member of BASL for many years having previously served as a BASL committee member and more recently as BASL Treasurer. Matthew has long been an advocate for improving liver services nationally through the model of multi-professional working, the building of strong clinical networks as developed in the southwest, and work with the National Liver Disease Strategy and Lancet Commission on Liver Disease in the UK. Dr Tim Cross qualified from St. Bartholomew's Hospital Medical School in 1996. He undertook general gastroenterology on the NE Thames rotation and underwent hepatology training, including transplant hepatology, at Kings College Hospital, Cambridge and the Royal Free London NHS Foundation Trust. He then worked as a consultant for three and a half years in the South West Liver Unit in Plymouth before relocating to the North West. Dr James Ferguson is a transplant hepatologist based at the Queen Elizabeth Hospital in Birmingham. He is the clinical lead on the IQILS (Improving quality in liver services) project and was a co-author of the recent lancet commission on liver disease in the UK. Professor Aithal is Professor of Hepatology and Head of the Nottingham Digestive Diseases Centre, University of Nottingham. He leads the Gastrointestinal and Liver Disorder Theme of National Institute for Health Research Nottingham Biomedical Research Centre. He is the Deputy Director of the Medical Research Council (MRC) Nottingham Molecular Pathology Node. He has over 160 publications with H index of 45 currently. His research interests include Drug-induced Liver injury (DILI), non-alcoholic fatty liver disease (NAFLD), epidemiology of liver and biliary diseases, and hepatobiliary imaging, in particular the development of fast, and inexpensive magnetic resonance imaging (MRI) method as a toll to stratify patients with chronic liver diseases. Dr Ahmed Elsharkawy was appointed as a Consultant Hepatologist in March 2012. He qualified from Southampton in 1999 before doing his core medical training in Nottingham followed by registrar training on both the Wessex and Northern Deanery schemes. His PhD was in the pathogenesis of the liver inflammation-fibrosis-cancer axis. His clinical interests include all aspects of hepatology, liver transplantation and how to improve management of patients pre and post-transplant. He is particularly interested in the potential role of nutritional interventions in patients with liver disease. He also has an interest in acute liver failure as well as viral hepatitis and regularly sees complex tertiary referrals. He is also developing an interest in liver disease in pregnancy and live related liver transplantation. Dr Ian Rowe trained at the University of Glasgow and, following general medical training at Queens Medical Centre in Nottingham, specialised in Gastroenterology and Hepatology in Birmingham. He was awarded a Medical Research Council Research Training Fellowship in 2009 and subsequently an NIHR Clinical Lectureship at the University of Birmingham and the Liver and Hepatobiliary Unit at the Queen Elizabeth Hospital Birmingham. In 2015 he was appointed as a University Academic Fellow at the University of Leeds and Honorary Consultant at the Leeds Liver Unit. His main research interests are in improving the outcomes of patients with liver disease and those following liver transplantation. His clinical practice is in hepatocellular carcinoma and liver transplantation. Victoria was appointed as a Consultant Hepatologist at Addenbrookes in 2018. She qualified from Nottingham University in 2003. Her first exposure to Hepatology was working with Matthew Cramp in the Southwest in her medical house job, which enthused her to pursue a career in Hepatology. In 2010 she was awarded a Wellcome Trust Scottish Translational Medicine and Therapeutics Initiative (STMTI) to complete a PhD investigating renal dysfunction in cirrhosis and the role of Relaxin as a therapeutic modulator in liver disease at the University of Edinburgh, with Prof John Iredale, Prof Jonathan Fallowfield and Prof Peter Hayes. During these three years she worked in the Scottish Liver Transplant unit as a clinical fellow. She undertook her advanced liver year in Addenbrooke’s in 2014-15. She pursued further research and clinical training at Royal Free before finishing her training at Addenbrooke’s Hospital. Her academic and clinical focus is Hepatocellular carcinoma, Portal hypertension, Renal dysfunction in cirrhosis and education. Dr Heneghan graduated from University College Dublin in 1992 and trained in Gastroenterology and Hepatology at University College Hospital Galway, Kings College Hospital London, and Duke University Medical Centre. He also was an AASLD sponsored Advanced Fellow in Hepatology in 2000. Dr Heneghan was appointed as an Assistant Prof in Gastroenterology at Duke University in 2001 and served as Medical Director of Liver Transplantation until 2003. He returned to Kings College Hospital London as a Consultant Hepatologist with an interest in autoimmune liver disease and liver transplantation in 2003. His research interests have focused around Autoimmune Liver Disease, Liver Transplantation, Pregnancy Related Liver Disease and aspects of Chronic Liver Disease. He has published over 100 papers in peer-reviewed journals and over 25 book chapters. He has a strong commitment to education having acted as a supervisor for postgraduate trainees, MD students and Ph.D. students. Dr Heneghan has also been an active participant in local and national recruitment of trainees. Dr Gelson is a Consultant Hepatologist at Addenbrooke’s Hospital, Cambridge. He is Clinical Director of the Eastern Hepatitis ODN and Secretary of the BVHG. His main interests are viral hepatitis and liver transplantation. Fiona has an academic background in Physiology and Biochemistry having trained at Southampton University in Biological Sciences (BSc and Ph.D.). In 2000 she joined the Liver Group at Southampton University as a postdoctoral Research Scientist to study the role of NF-kappaB signalling in hepatic myofibroblast biology and liver fibrosis. In 2006 she was appointed to Lecturer at Newcastle University and was promoted to Professor of Fibrosis Biology in 2016. Her primary research interests focus on understanding the cellular and molecular mechanisms regulating liver fibrosis, regeneration and cancer. Abhishek was appointed NIHR Academic Clinical Lecturer at the University of Birmingham in August 2017. He qualified from Birmingham in 2006 and continued his core medical and specialist training in the West Midlands. He was awarded a national Wellcome Trust Clinical Research Training Fellowship in 2013 and completed his PhD thesis on the molecular contribution of platelets to the pathogenesis of acute liver failure in 2017. His clinical interests include acute and acute-on chronic liver failure, liver transplantation, and optimising management of patients pre- and post-transplant. Dr Chauhan serves as associate editor on the board of Frontline Gastroenterology and as national trainee representative for BASL. Dr Rushbrook qualified in 1997 from the United and Medical Dental Schools of Guys and St Thomas’s. Having completed his House jobs in London he moved to Cambridge where he completed a 4 year PhD establishing the role of T regulatory cells in chronic viral hepatitis. During this time he gained experience in Liver transplantation and acute and chronic liver disease. He then undertook a further 3 years of training on the Cambridge Liver unit during his registrar training. During his PhD and training he undertook ERCP and EUS training and developed an interest in hepatobiliary disease, particularly PSC. During this time he has established a consortium of UK investigators to determine the genetic basis of PSC. His goals are to alongside his colleague Martin Phillips to develop a 2nd level hepatology unit for the East Anglian region.